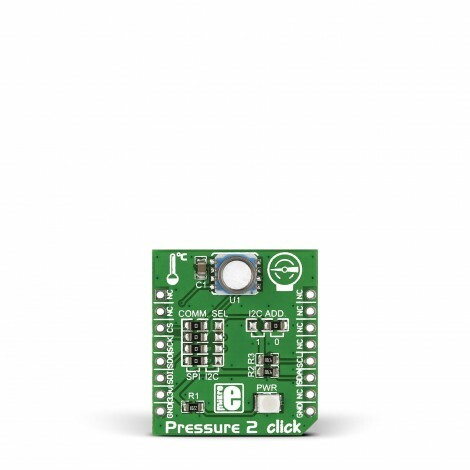 Pressure 2 click carries MS5803, a high resolution MEMS pressure sensor that is both precise and robust. 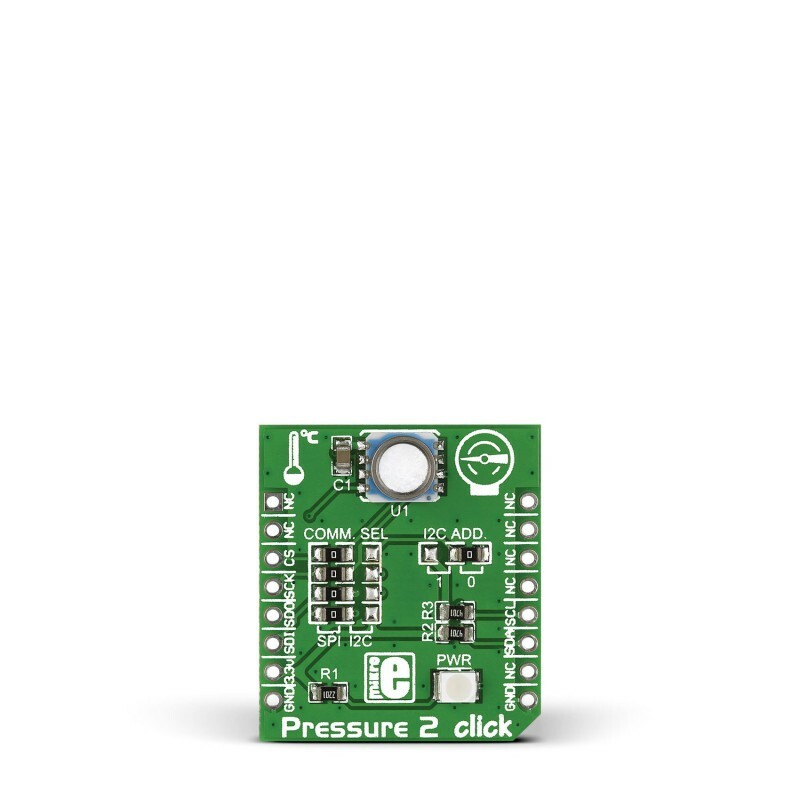 Its measurement range is from 0 to 14 bars (with a resolution of up to 0.2 mbars), but because of the stainless steel cap enclosure, the sensor can withstand up to 30 bars of pressure. 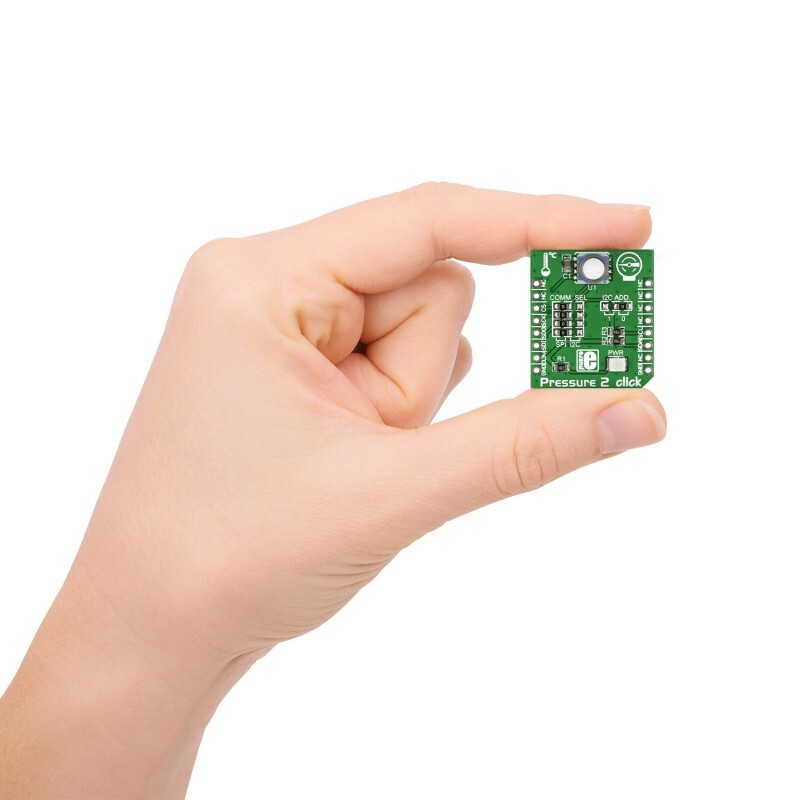 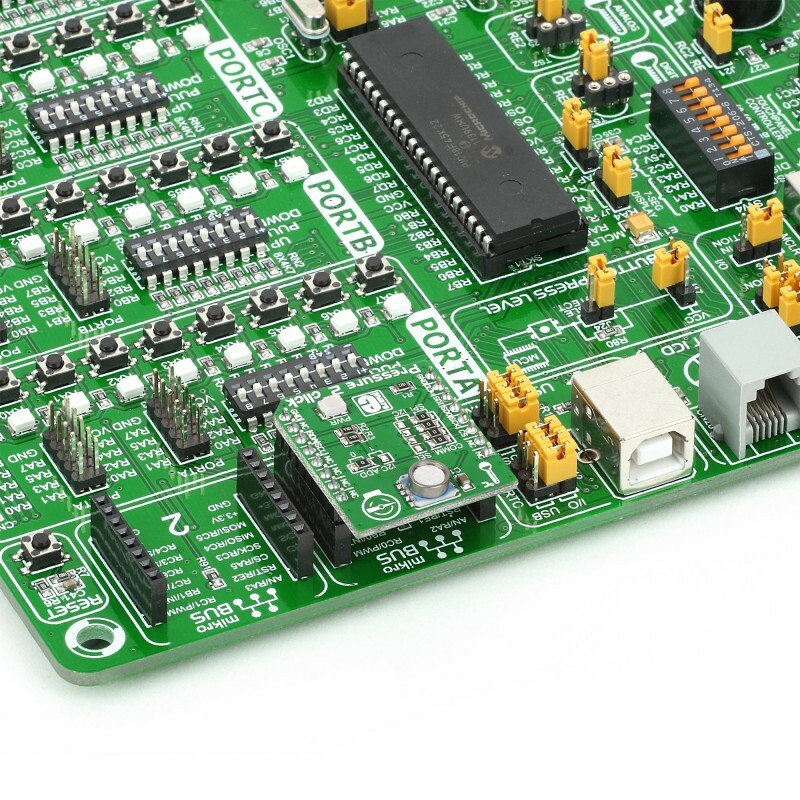 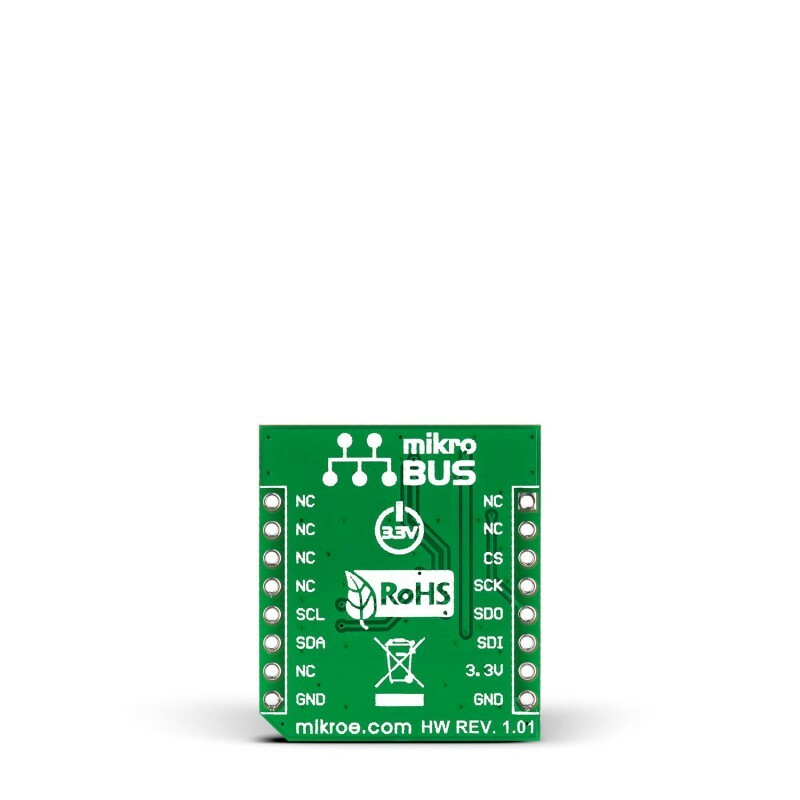 Pressure 2 click communicates with the target board MCU either through mikroBUS SPI or I2C lines, depending on the position in which the onboard jumpers are soldered.